A new feature on the Badwater website is “Where Are They Now?” in which we interview a Badwater athlete from back in time and who we haven’t seen in quite a few years. 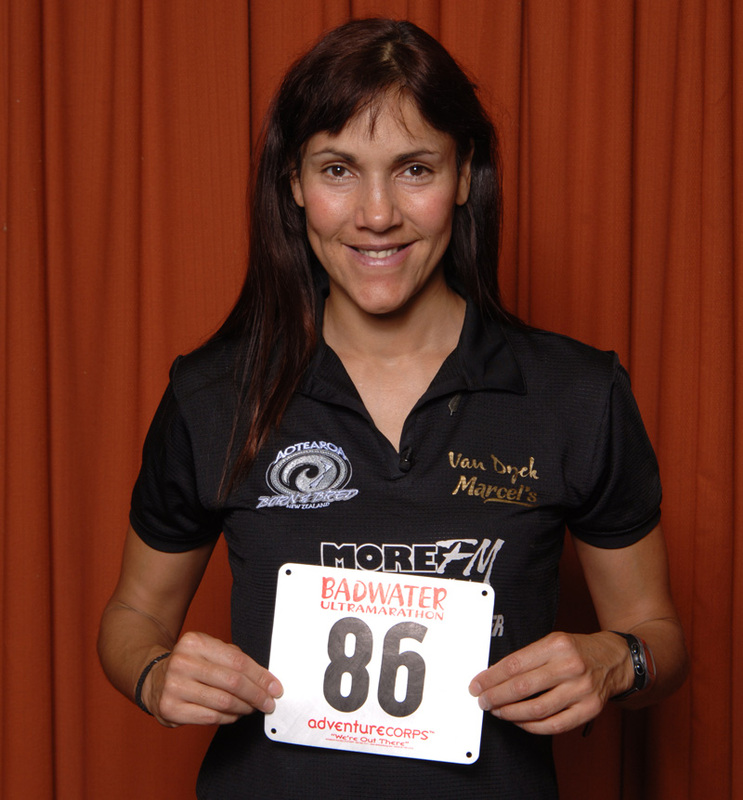 Kicking off this new feature is Lisa Tamati of New Zealand, who competed in, and finished, the Badwater 135 in 2008 and 2009. Run Coach and Mindset Expert, Motivational Speaker, Podcaster at “Pushing the Limits”, Author of two books, documentary producer, 100 mile Race owner Northburn100. Serial entrepreneur. 2008, age 39: 38:24:43: 10th female, 24th overall. Bib #86. Do you recall when, where, and how you first heard of the Badwater 135, and why it called out to you? This is a great story. I firstly heard about Death Valley through my boyfriend at the time. This was back around the mid 90’s. He had cycled through Death Valley in the middle of summer. We had spent a few years adventuring around the world together, cycle touring, trekking, kayaking etc and he had always told me I was a useless runner, that I had no talent whatsoever. So a few years go by and we break up; actually he left me while we were crossing the Libyan desert as part of a 4-person expedition. Crossing a 250km military barred zone with no outside support and only the water we could carry which equated to 2 litres a day. We had a domestic (squabble) in the middle of the desert and he left me. So anyway that relationship went south but I always remembered him regaling me with stories of Death Valley and how brutal and crazy it was to cycle it in mid-summer. Then years later, over a decade later, I read about the Badwater 135 in a magazine somewhere. By this time I was into ultramarathon running and, in particular, in deserts, so I decided one day I would do it, even if it was just to prove to him I could: That this useless runner could actually run through Death Valley in the middle of Summer and of course a few years later I did, twice. So there. So much for useless. Slow doesn’t mean useless. When you think of the Badwater 135 now, what one word or thought first comes to mind? The word that sums it up for me is EPIC. This race is a once in a career event. What were the key races you ran that helped you to become an athlete capable of finishing the Badwater 135? Trans333km across Niger non stop event. How did you train for the Badwater 135, the course and the conditions? Did you have a coach and, if so, what kind of guidance did she or he give you? I ran a lot, but we had winter here in New Zealand so it was really tough to simulate the heat we would face, so I trained often in the sauna. I also did a lot of strength work which I hadn’t done previously to make sure I had a stronger upper body. That helped. You and your support crew traveled a long way to compete; how did you finance that? This was the toughest part of this project. We had to raise an awful lot of money to do this event and in order to bring my crew with me. We held auctions, we begged and cajoled sponsors to come onboard. I had a wonderful lady, Andrea Needham, take over the first year to help with the fundraising. She had just had a double lung transplant and was very sick but she managed to bully companies into giving me the cash I need to get there. Her energy was amazing. Sadly she died not long after my first race and we dedicated my first book “Running Hot” to her memory. At your first Badwater 135, what stood out the most about the whole experience? Obviously the heat is like nothing I had ever experienced before or since. It literally blew me away for a start and I remember feeling terrified when I first arrived in Death Valley, feeling ill just walking around the resort was a huge task. I had actually no real idea how I was going to do it. Especially coming from a New Zealand winter. The key was we came over 10 days earlier to help our bodies get over jet lag and acclimatize to the heat. Each year, Badwater Race Director Chris Kostman presents his personal Gumby to one runner to carry for the first few feet of the race. Lisa was that person at the 1000am wave in 2008. See next shot for the pass-off. Lisa passes Gumby back to Chris Kostman as her first Badwater 135 begins. Lisa on the road in 2008: Just 130 miles to go! What surprised you the most about the race? Actually everything was as I expected except that damned 60km odd stretch after the second pass (Father Crowley) going towards Lone Pine. That nearly broke me. I thought I had the worst behind me by then but the monotony of that stretch did my head in. Lisa’s crack support crew made her dream possible. What were some of the low points, and how did you recover from them? I remember vividly at the second race absolutely hitting the wall at around the 70km mark. I had gone out a little too fast for the first 30km, trying to keep up with my ex-husband Gerhard who was in the race that year too and that was a mistake. That night was hell as I went up the first pass, many times I passed out, vomited, had hallucinations and I lost a lot of time but somehow my crew got me through. I remember my paramedic friend Megan Stewart at one point grabbing my hand and throwing me on the ground and I was about to run over a rattle snake coiled up on the road. That was at least some fun to interrupt the misery. I remember the hallucinations clearly too. I saw giant penguins dressed in tuxedos waving and cheering me on as I crawled up the pass. I have another story to tell as well. I had a friend who had been living in New Zealand, but who was from the US and had returned home very ill; he needed a liver transplant but was on the waiting list. He was an ex-Olympic sprinter, NFL player, and actor named Howard Dell. Howard had planned to come up from LA to crew for me but on the day before the race he didn’t turn up and we were very worried. We got through the race briefing and he was nowhere in sight, but then I got an email with a photo of Howard who was in the intensive care unit after suffering a lung embolism, hooked up to all sorts of machines. The sign read. 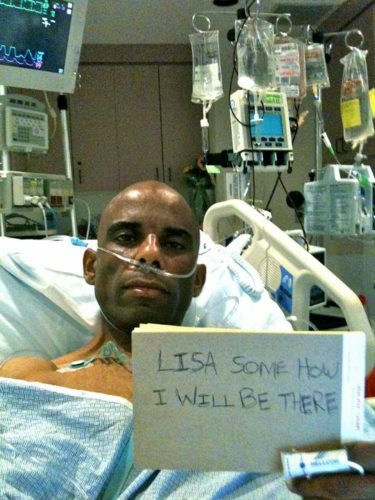 “Lisa, I will be there somehow.” This was just 24 hours or so before the event was to kick off. Then, at 200am that morning, Howard, who had signed himself out of hospital against his doctors’ wishes, had driven himself all the way to the Death Valley and had found out what rooms we and the crew were in and had banged on the door of one of the boys’ rooms. They were very shocked to see this 6 foot 4 African-American man standing in the doorway in the middle of the night, asking for me. The crazy man was true to his word: He got there somehow and he crewed for me even though he was so very very sick. My paramedic friend had her hands full keeping an eye on him, too, and – in one of those most amazing moments as I was really at a low on this first pass, vomiting and sick as a dog – I remember my crew putting me in the car to lie down for a bit and my amazing friend Howard who sings like an angel, singing to me to calm me down and take my mind away from the torture. A beautiful memory. Howard went on to have his liver transplant and is now coaching and competing again in athletics as well as acting and doing any number of incredible things. Howard Dell might be the most dedicated and determined Badwater 135 crew member in history – and THAT is saying a lot! Why did you return a second time to compete, and how did that compare to your first race? I had to return because it was just the most incredible experience of my life and I wanted to relive it and to experience it one more time. It took an awful lot of effort to raise the money a second time but I had to come back to experience it one more time. I envy my ultrarunning friends who live closer by and have had the chance to do it many times. Alas it is so hard to get there when you are coming from New Zealand. Lisa and her crew cross the line in 2009, her second finish. What impact did your Badwater 135 participation make on you as a runner, and as a person? What have you done as a runner / athlete since then? I have done many events since then; some highlights include running the length of New Zealand 2250km (1400mi) for charity, The North Face 100 Ultra in Australia, The Big Red Run multi-day in Australia, filmed the pilot of a failed TV series “Run the Planet” running 140km near Alice Springs, The Gobi Desert March multi-day stage race and the Sahara multi -day, the Round the Mountain 100-miler in my home province and competing for New Zealand at the 24-hour Commonwealth Champs in England and 100km national races three times, placing second each time, the Manaslu Trail race – a 240km multiday event around the Mt Manaslu Massiv in Nepal – and my favourite of all La Ultra/The High, a 222km non-stop event in the Indian Himalayas over the two highest motorable passes in the world going twice up to altitudes around 18,000ft. What are you most proud of in your life since you ran the Badwater 135? 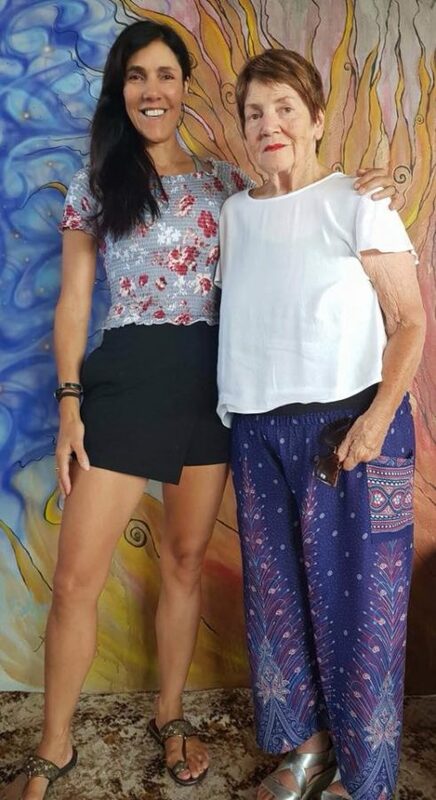 The biggest achievement of my life or rather the greatest journey of my life has been helping my mum – who was left with the severest of disabilities 19 months ago after suffering an aneurysm (bleed in the brain) – back to health, back to life again. She was written off by the medical profession who didn’t expect her to make much progress as the brain damage was so severe, and she had virtually no higher function left. Only a couple of words, no memory of who she was and who who family were, no ability to control any movement in her body. Basically after she came out of the coma, the lights were on but she really wasn’t home. This was the worst experience of my life as my mother is my rock and this shook me to the core and no one believed she would ever do much again or have any quality of life, but if there is one thing that running races like the Badwater 135 has taught me is that we are capable of far more than we think both physically and mentally and that if you have incredible determination and willpower and love you can do things most people think is impossible. I didn’t know how to quit so I used every lesson learned from running ultras and taking on massive challenges to throw literally every ounce of my energy and being into her rehabilitation. I searched the world for the best experts to help, I studied and learnt everything I could and I fought like a crazy woman to advocate for her and to get the help we needed from the medical profession. The single biggest breakthrough I had was I discovered the use of hyperbaric oxygen therapy for brain injury; it wasn’t accepted in New Zealand but there were Doctors in the USA who had experience in this area, so I set about getting her access to a chamber, approaching a commercial dive centre to use their chamber, getting sign off from Doctors, signing waivers etc, etc. That combined with a daily 8-hour rehabilitation programme and 24/7 care that we as a family provided means that now 19 months later mum is back. She is her normal intelligent and delightful self again, she can now walk again (it took us 15 months to ditch the wheelchair for good), she can read, write and is getting stronger by the week. She is 80% of the way back and she is living life full on again and loving it. I marvel everyday at her tenacity, her quiet stubbornness and willingness to do whatever I tell her to at the age of 76. It is still possible to come back from such a injury and I want to shout that from the rooftops and give other people hope. I now have opened our own hyperbaric clinic and make this therapy available to others (www.o2plusnz.com). If you work, grind, fight, and never give up, miracles can happen even when no one else believes you. What is the ultrarunning scene like in New Zealand now, and are you involved with it? Ultrarunning is now huge in New Zealand. We have so many events for a small country it’s mad. The popularity of the sport worldwide has boomed. When I first started we were a bunch of eccentric weirdos, teaching ourselves as we went along for the most part, but now it’s big business and big sport. I think this is great, we as a species need to push our limits and pioneer new paths for ourselves. Everything has been pretty much done in this world but we can still explore our own limitations, connect deeply with our own souls and with nature when we push into the great unknown. The mentality of the athletes I think is changing and not always for the better. Ultrarunners have traditionally been a tough but extremely welcoming bunch who would help each other on the trails. Our sport is such that it can be at times dangerous and people often break and so many times I have been helped by wonderful people, other runners who have come to my aid in times of need and vice-versa and this is something I always loved about the sport. The importance of the podium never seemed to outweigh the importance of comradeship, but that I think is slowly changing as the professionalism of the sport grows and develops and there is more at stake. I co-own the Northburn 100 Mountain Ultra event. I had this idea of doing a something epic in New Zealand after racing the Badwater 135 and searched for a place to hold the southern hemisphere’s toughest 135 (modeled after Badwater 135). That didn’t eventuate and instead it turned into a 100-miler, running over one of New Zealand’s biggest high country sheep stations in the South Island (it just wasn’t big enough to make it a 135-mile). This is one tough race with crazy weather patterns hitting often and temperatures ranging from below zero to mid thirties Centigrade (30 to 85F) and from blazing sun to full-on snow storms. Anything is possible. The total ascent at over 8500 metres (28,000 feet) is formidable and the terrain is tough. It’s brutal but beautiful – as we say – and we welcome ultrarunners to come and test their mettle at this event which is held in March every year. How much do you run on a weekly basis now? Other exercise / fitness regimes? I have had a hell of a year health-wise. I was diagnosed with tumours in my uterus which caused great havoc and left me without enough blood in the body to even keep my organs going sometimes, so I was forced to have transfusion after transfusion just to survive and the brutal thing for me apart of the exhaustion and pain was that I couldn’t run. I literally lacked the blood to supply the oxygen and this was a hard pill to swallow and I could have taken the easy way out and had a hysterectomy but I wanted to know why this had happened so I went on a mission to find out the underlying causes and discovered among other things I had done some serious damage to my kidneys especially through the extreme running and this had lead to other complications which lead to the growth of these tumours. So I haven’t been able to do much, but now, 9 months later, I am back on the mend and running again but not huge distances. Most of my workouts now are high intensity and short, crossfit and Tabata style routines combined with daily yoga, breathing and meditation work and I feel very fit again although it’s a different type of fit. I can’t roll out of bed anymore and run 100 miles like I used to be able to. But that’s ok. I now spend a good part of my life passing on my experiences and knowledge to the new generation of runners. I do a lot of motivational speaking, speaking to corporates, the military, universities, schools, and charities. I have an online Mindset Academy which is all about developing mental toughness, emotional resilience and cultivating the habits of success and a winner’s mindset. Ultramarathon running teaches us so many important lessons for life and it has been the greatest teacher for me and helped me to face the challenges of life and now I love to share that knowledge with my students via my Mindset Academy called “The Path of an Athlete”. Have you competed in any sporting events – of any kind – in the past 12 months, and if so, what? The only one I did was a charity run across the North Island of New Zealand to kickstart the Samuel Gibson Memorial Trust raising money for people with disabilities so they could live out their dreams. Our friend Samuel who was born with osteogenesis imperfecta had died during a half marathon when he fell out of his wheelchair. We had been planning a 330km run together (he in the chair and me and two others running) and he was training for this when the accident happened and we were devastated, so in his honour we did this run and raised $55,000 for his charity. Do you hope to, or even think about, running the Badwater 135 again? I do. I don’t think it will be for a number of years as I can’t travel much at the moment due to my mum’s situation, but I dream of being like my hero Death Valley Jack – AKA Jack Denness – and coming back in my older years and having another crack. He, by the way, is a rockstar. UPDATE: Lisa will return to Badwater 135 for the 2018 edition, serving on the support crew of Gregor Gucwa, a Polish runner living in Norway who Lisa is training and coaching for the race! Do you have any advice for future Badwater 135 applicants, and entrants? • Don’t expect any sort of good times out there. It’s so hot, nothing compares, and therefore time predictions are tough. All bets are off. • Make sure you have the best crew you can get. They need to be dedicated to your mission and be fit and healthy themselves. It’s almost as tough on them as it is the runner and a poor crew can finish your race before it starts. Mine, both years I did it were phenomenal. and had their systems worked out pretty fast. It helped we had each year at least one who had been there before and knew what to expect. • I had a paramedic with me the second year and she kept a really close eye on all my vital statistics like fluid and calories and temperatures and blood pressure, weight etc. That was great to have. Is there anything else you’d like to add or tell us about? If anyone wants to contact me and ask me anything I would love to hear from them. 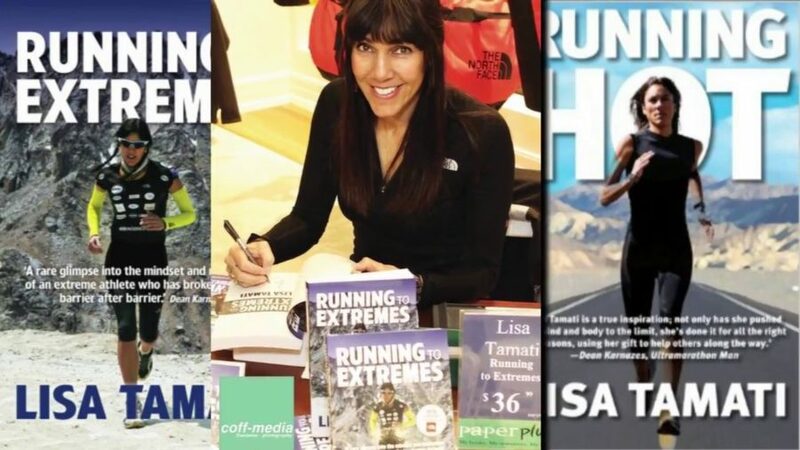 Feel free to email me on lisa@lisatamati.co.nz and of course if anyone wants to read about my Badwater adventures and many others they can check get my books “Running Hot” and “Running to Extremes” via my website. 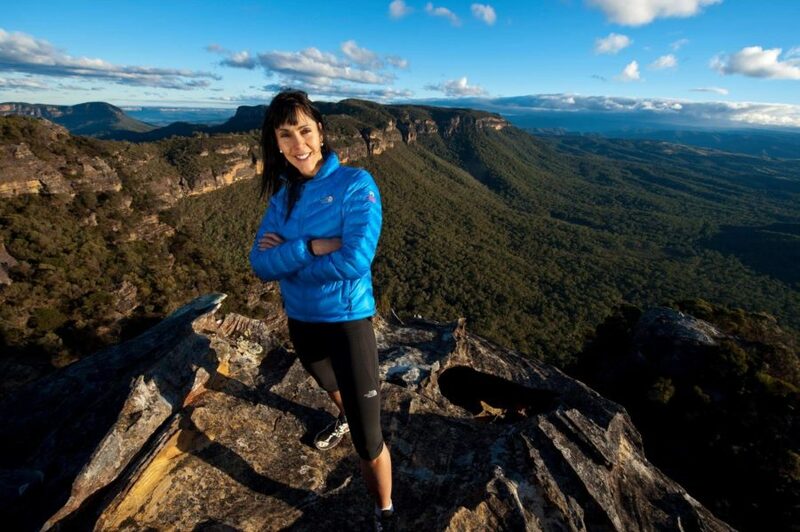 I would also love any ultrarunners out there to tune into my podcast “Pushing the Limits” where I interview extraordinary achievers across a number of genres to do with health, fitness, science breakthroughs, and mindset and – of course – many runners make their way into the line-up. My last words are: If you are thinking or dreaming of doing Badwater 135 one day, make it happen. It will be, guaranteed, one the most epic adventures of your life. It will be tough, it might even break you, but whatever happens out there it will change you for the better, it will make you a stronger athlete and a stronger person. Crossing that finish line is a moment I will never ever forget.